Write more patterns. 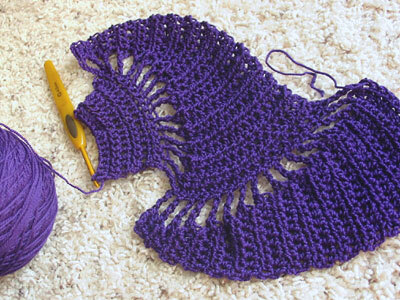 This will begin with the release of a new cabled scarf pattern, hopefully this weekend. Like my previous patterns so far, it will be free to download but I hope those who knit it will make a donation for however much they think the pattern is worth. I’ve got about four different sock ideas kicking around in my head, along with two toy ideas. I want to submit something for publication and also start selling patterns myself. Knit more sweaters. Remember when I said this? I will be wearing a Tangled Yoke Cardigan this fall and winter or I will eat my Addi Turbos. Well…Addi Turbos nom nom nom. I have yarn for three sweaters stashed. Time to knit it up. Spatial reasoning II — charts, charts, charts! Math education — can knitting really help you learn math? Those are the big things I want to do with my knitting life. I’m also planning to re-design the site in the very near future, so keep your eyes peeled for that! CogKnition posted this on January 3rd, 2009 @ 1:34pm in Crochet, Life as a Knitter, Site Updates | Permalink to "New Year, New Beginning"